What are bots, and where to find them. Learn how to make fun, friendly online bots. Read our collection of articles and essays. What is Botwiki, and who made it. 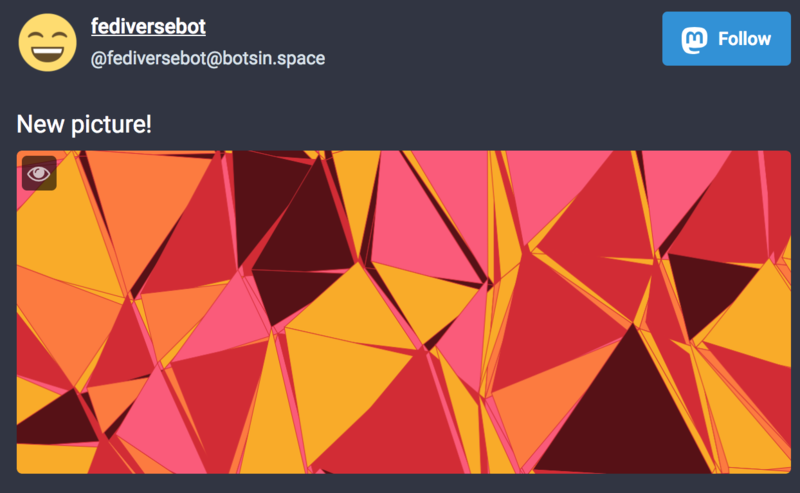 Learn how to make creative Mastodon bots with Botwiki. Creator of Botwiki and Botmakers, Botwiki editor, and Botmakers community manager. Botwiki is a personal side project that's made possible through donations and hard work and dedication. Huge thanks to everyone who helped us out! 🙌 PS: Here's a list of our supporters. This website is open source and powered by WordPress. Botwiki and the Bot! zine and Botmakers landing pages are all proudly hosted by , a generous supporter and the sponsor of the very first Monthly Bot Challenge. One more way to support us is to sign up using our DigitalOcean referral link, which will also earn you a $10 starter credit. For attributions, see the Attributions page.